My toddler is smitten with the new Mickey and the Roadster Racers series, and I knew that there would be plenty of you out there who would love a chance to win some fun Mickey's Racers prizes for your little one! We have an exciting prize pack for you to win, but first, let me tell you a bit about the new title -- out now! 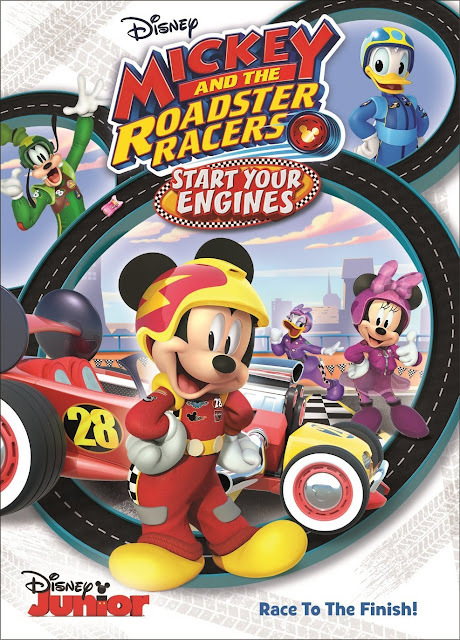 The DVD is out now, wherever Disney Junior adventure DVD's are sold -- and at Amazon.com! Wanna Win? 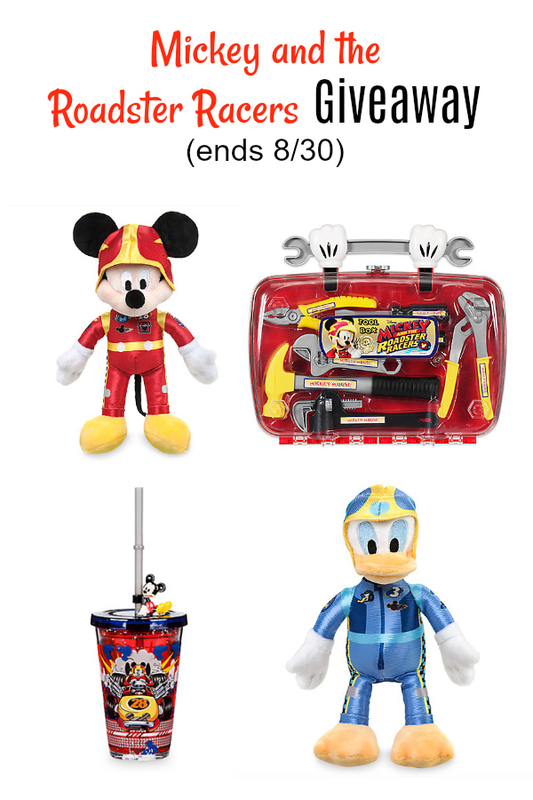 We are giving one lucky winner the following prizes: Tumbler, Toolkit, Mickey Plush, and Donald Plush. Enter using the form below by August 30th at 11:59 pm EST. Open to U.S. residents only. I love goofy, hes so happy. Mickey Mouse is my fave. My favorite character is Minnie Mouse. Minnie Mouse has always been my favorite. I like Minnie the best! We like Donald the best. Minnie is my all time favorite! Goofy is my favorite character. He's pretty happy go lucky and mellow. My favorite character is Goofy, but my son loves Mickey! Mickey Mouse has always been my favorite! I love all his friends though, also! Mickey Mouse is our favorite character. Our son just loves him. mickey mouse has always been my favorite! Mickey Mouse has always been my favorite. I love Mickey!! My favorite Mickey Mouse character is Minnie! She's the cutest! Mickey mouse is our favorite!! We love him to the Neptune and back!!! I love how the show combines adventure, fun, music and entertainment along with teaching kids about friendship and the importance of helping each other!! All the characters are awesome but Mickey is our favorite!! Mickey Mouse is my favorite! We love Mickey Mouse! Thanks for the chance! My kids love this show! My daughter always loved Minnie Mouse and Daisy Duck. Oh I have to say, Mickey Mouse has always been my favorite since we visited Disneyland when I was a little girl! Our favorite character is Mickey! My favorite Disney character is Goofy. He has been my favorite since they made the Goofy movie. I love Mickey. He always makes us laugh. My favorite has always been Donald! Goofy has always been my favorite Mickey Mouse character! My favorite Mickey Mouse character is Donald Duck !